An interested development in mattress design, the Relyon Easy Support is an example of a memory foam mattress with no spring system that is sold as a rolled up vacuum packed product. This is seen by many as the future of mattresses as they are much cheaper, easier to transport and store, and don’t have springs which can deteriorate over time and break. Despite having no spring system and being composed entirely of Superflex foam and fibre padding fillings, the Easy Support Mattress still manages to deliver a medium firm support level that you’d usually expect from a quality pocket sprung or an uncomfortable open coil option. Due to the man-made nature of the materials used, this is rated as a hypoallergenic mattress suitable for asthma sufferers. This is absolutely essential if you suffer from breathing problems or are intended to put this mattress in holiday rental accommodation. The medium firm rating is also ideal for this as it isn’t uncomfortable to those who prefer a soft mattress but also offers to a degree the support needed for those with orthopaedic problems. This type of rolled up memory foam mattress is relatively thin in comparison to traditional spring mattresses at just 15cm making it extra portable. It’s sold with a 5 year warranty incase you’re hesitant about buying this new kind of mattress and is available with free next day delivery due to its popularity and best-seller status. 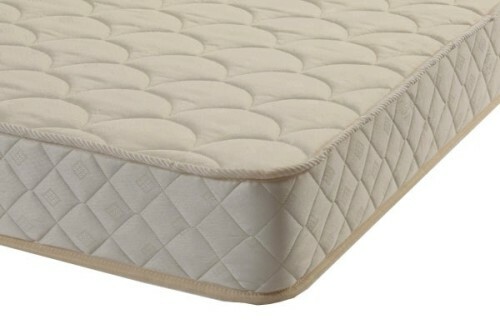 The lifespan of the Relyon Easy Support Mattress as reviewed will also be extended by the turnable nature of the mattress with a micro-quilted finish on both sides. Type: Hypoallergenic, Medium Firm, Reflex Foam. 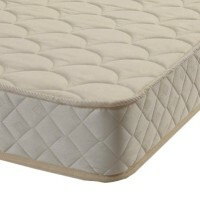 Be the first to review “Relyon Easy Support Mattress Reviews” Click here to cancel reply.